Nash Distribution is now hiring a Full-Time Customer Service Representative and is offering the opportunity to help someone EVERYDAY! Nash is a subsidiary of The Basement Doctor and the leading supplier of repair products to the basement, crawl space, and foundation repair industries with accounts in the US and Canada. We sell to the specialized contractors who do in-home repairs. You are passionate about supporting and growing businesses, internal and external customers, and communities. You enjoy and are comfortable talking on the phone with customers. You have strong customer service and communication skills and derive satisfaction from helping others. You are a creative problem-solver. You want to understand how things work and quickly identify opportunities to make processes work better. You’re adaptable and responsive and are confident in your ability to meet needs across multiple teams, platforms, and customers.  You can feel good knowing that The Basement Doctor was selected as one of Columbus CEO and 10TV’s Top Workplaces for 2015, 2016, and 2017! We are also very involved with Ronald McDonald House, LifeTown, and Special Olympics of Ohio!